Home > Blogging > Internet > GetResponse vs GraphicMail: Are You Thinking to Go for Branding? GetResponse vs GraphicMail – Learn what is the best email marketing service for branding? GetResponse vs GraphicMail: Are you thinking to go for Branding? Marketing and branding are two such terms that have become the need of every business in this modern era. For growth of any business, the marketing and branding should be done in an efficient manner to achieve the planned goal successfully. Email marketing is one of the basic needs that are required by every business big or small, hardly matters. Email marketing tools help the users to stay connected with your business and this in turn helps you in getting the desired outcome. GetResponse and GraphicMail are the two email marketing tools that used widely by most of the businesses. Let us have a brief discussion on them. GetResponse is one such smart email marketing tool that can be used for the successful branding of your business through its awesomely designed responsive email templates. You can send the newsletters to your clients stay connected with them for a longer period. Moreover, you can find how many of your subscribers have gone through your mail and to how many the mail has been delivered. You can even learn about the people unsubscribing from your mailing list and the reason for the same. Landing pages can be created within few minutes to attract more customers. GraphicMail is another email marketing tool that can give a boost to your business by making your clients get attracted towards the superb design of your newsletters. You can even stay in touch with your client through text messaging & mobile marketing. Social media integration feature of GraphicMail makes it easy for you to harness your social media reach of different social networks. It is the type of email marketing tool that a business must need to expand and reach a maximum number of customers in less time with few efforts. Let us learn about some of the most prominent features of both the email marketing tools in depth. GetResponse: It offers about 1 GB image hosting space that is much more than most of the providers. You can edit the custom images and choose over 350+ templates. Images can also be added and replaced from the templates. You can edit the email templates and can preview them instantly through WYSIWYG editor of GetResponse. Content blocks and images can be dragged easily from one position to other. It offers you easy customizations so that email template could be re-designed perfectly. Twitter & Facebook Integration is really easy through GetResponse. GraphicMail: It offers you only 20MB of image hosting, though more than many other providers, but surely too less than what GetResponse is offering. 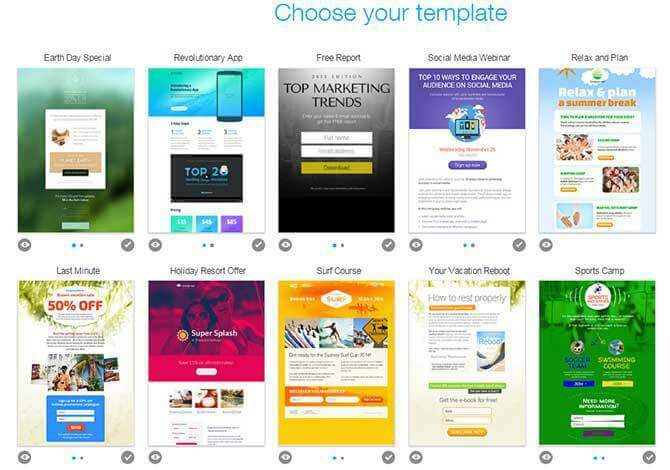 It offers 100+ email templates. You are allowed to edit the images inside the templates, and you can even insert three columns. GraphicMail also offers you WYSIWYG editor to make customization easy for the users. Content blocks and images can be dragged and dropped easily. But if you wish to get rid of GraphicMail’s logo in the email template then a onetime fee of $250 needs to be paid. Twitter, Digg, Facebook, and MySpace integration in email templates makes it easy for your clients to share your business over their social media profile. GetResponse: If you are using its paid account then you can import your email contacts through Excel sheet, but for the trial pack users, the only option to import the contacts is by doing cut & paste. You can import your contacts from Salesforce, Outlook, Gmail, Hotmail, Yahoo and few other email accounts. The autoresponder system allows you to greet the new subscriber with a welcome message. Bounces and unsubscribes are automatically removed from the contact list. GraphicMail: You can import the contacts easily through Excel file from different email accounts including Yahoo, Gmail, Hotmail, and Outlook. The autoresponder system of GraphicMail helps you to send a welcome message to new subscribers. It doesn’t remove the bounces from the contact list, but unsubscribes are removed from the list. GetResponse: They have a spam checking tool called ‘SpamCop’ that displays the ideas for fixing the content that might be blocked by the readers. Email campaigns can be scheduled easily according to different time zones. The campaigns are sent out in less than a minute. GraphicMail: The spam checking tool of GraphicMail checks the phrases and words that may cause your newsletter to get blocked by the email Spam Filter. It also doesn’t allow you to re-edit the newsletter, once you have scheduled it for sending. It takes less than 5 minutes for the email to be sent. GetResponse: The reports of GetResponse show the clicks, opens, unsubscribes, spam reports, bounces, and top performing links. All the user actions are reflected properly on these reports. The reports received on your email can be exported into a spreadsheet or displayed as graph. The clean list without any unsubscribes and bounces can also be exported. The A/B testing helps you to test few variables that might trouble the success of email campaigns. Google Analytics is integrated to the reports so that the reader’s traffic for the email campaign can be viewed. GraphicMail: The reports of GraphicMail display the bounces, clicks, opens, unsubscribe, forwards, and spam reports. These reports can be viewed as a graph and can be exported as Excel sheet. The A/B testing assists you to test variables that might affect efficiency of email campaigns. Google Analytics is integrated with these reports so that the reader’s traffic for email campaign can be viewed. GetResponse: The minimum plan starts at $15 per month that allows you to send newsletters to the list of 1000 people in a flash. You can upgrade the plan as per your need. 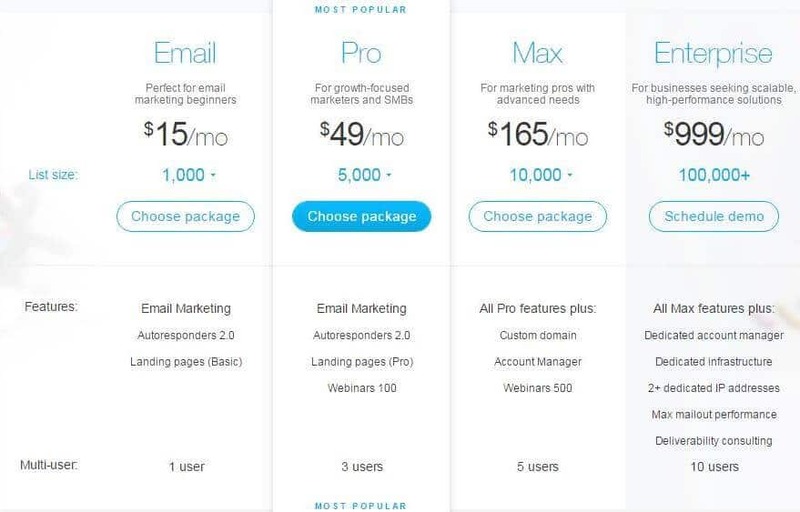 GraphicMail: The minimum plan starts at $25 per month which allows you to send newsletters to 2000 people in your mailing list. You can upgrade to higher plans as per your needs. Surely, GetResponse has an upper hand over GraphicMail with an enormous range of templates and other features. Though, GraphicMail email marketing service is cheaper than GetResponse email marketing software when it comes to price, but feature-wise, one must consider going with services of GetResponse to build a successful email campaign for their business. Read next: GetResponse Vs AWeber: Which One to Choose? Nice comparison. GetResponse surely has the upper hand here. I’ll give it a go. Thanks!